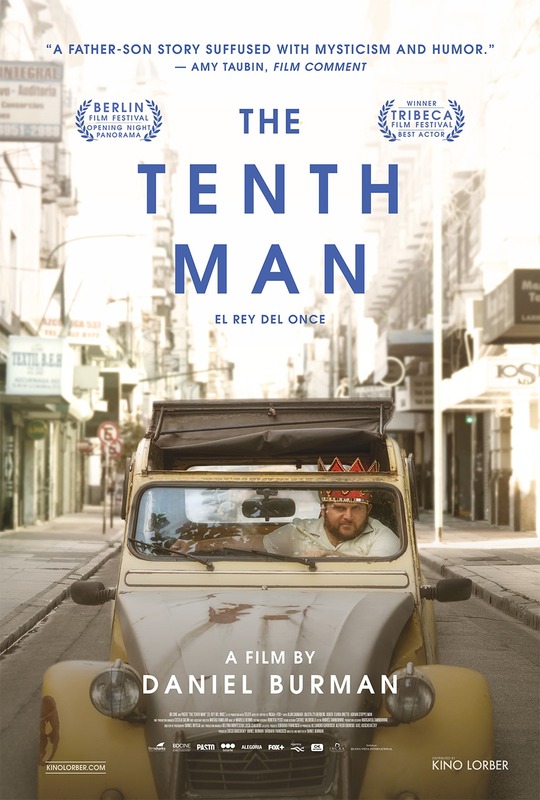 After many years away, Ariel (Alan Sabbagh) is summoned by his distant father to his childhood home in the bustling Jewish quarter of Buenos Aires, known as El Once. Over the course of seven days, during the vibrant holiday of Purim, Ariel seeks to reconnect with his father, who runs a Jewish charity and is regarded as a big macher in the close-knit community, but was frequently absent due to his obligation to fulfill the Jewish quorum of having 10 men present at all funerals. It’s from this theological conundrum that the film derives not just its English title but also its momentum as Ariel grapples with his religious upbringing and the ways it informed his relationship with his father.